In the current migration crisis, people are fleeing to escape disaster, violence, poverty and hunger in numbers unknown since World War II. But their desperate search for a better life is not always met with understanding and compassion. Hungary has set up a four meter-high barbwire fence along its Serbian border, Donald Trump is calling Mexican immigrants dangerous criminals, and Australia has implemented the world’s harshest policy by turning back boats of asylum-seekers, or forcing them to detainee centers on distant Pacific Islands and making sure they will never enter the country. In the face of such hostility, it is refreshing to find a book with a different narrative. One where a country that promotes multiculturalism and social cohesion can enjoy the immense benefits of a more diverse society, where migrants truly become agents of progress and development. This was certainly our experience when my family immigrated to Montreal (Canada) in the early 1970s to escape the communist regime in Poland. Today still, Montreal is one of the most multi-ethnic and multicultural cities in the world – a vibrant platform for culture, education and business innovation. “The Promise of Diversity” by John Hartwell Williams and John Bond, tells the unlikely story of Jerzy Zubryzcki (1920-2009), a Polish intellectual turned cadet officer in the Polish Army when the Second World War broke. Forced to surrender to the German forces, Zubrzycki escaped imprisonment thanks to a Jewish shopkeeper who may have saved his life. He served with distinction in the Polish Army, the Polish underground resistance and with the British forces. Thanks to his good English, which he learnt at the Krakow YMCA, he was selected to join a top secret elite team that was tasked by Churchill to “set Europe ablaze”, he underwent intense training in parachuting, explosives, sabotage, intelligence work and extreme survival skills. He even became an expert in the art of silent killing. In a “James Bond”-like adventure, he brought a captured V2 rocket from Poland to Britain, providing crucial intelligence to the allied forces. Unable to return to Poland after the war, he became a refugee and decided to study sociology at the London School of Economics. He then joined the Australian National University where he became Professor of Sociology. Having experienced the horrors of Nazi occupation, he dedicated the rest of his life to promoting the integration of Australia’s increasing ethnic diversity. Australia, whose population was 7.4 million at the end of the war, received more then 2 million Europeans in the following two decades. Today still, it is home to one of the largest Greek communities outside Greece (particularly around Melbourne). Later came waves of refugees from Vietnam. Thanks to his distinguished war record and contacts in the upper echelons of British society, he was able to access and influence the closed circles of Australian government, and successive Prime Ministers, helping them realize that the ethnic diversity is not a liability but an asset and that by enabling these values we enrich society as a whole. Through his influence he managed to “steer Australia towards multiculturalist settlement policies” (The Australian) for which he as been credited as the “father of Australian multiculturalism”. As Secretary of the Australian Institute of Polish Affairs, John Williams developed a friendship with Zubrzyzcki, which led him to start writing this biography. John Bond, an author who has helped several Australian public figures write their memoirs, completed the book and is now organizing a Polish translation and promoting the Zubrzycki story in Poland. John Bond is no stranger to diversity and multiculturalism. Since 1969, he has been a member of “Initiatives of Change” in Australia, the Swiss-based organization that facilitated the German-French reconciliation process following the Second World War. John was elected Secretary of the “National Sorry Day Committee” whose work led to the apology from the Australian government. He was awarded the Medal of the Order of Australia for service to the Australian community. 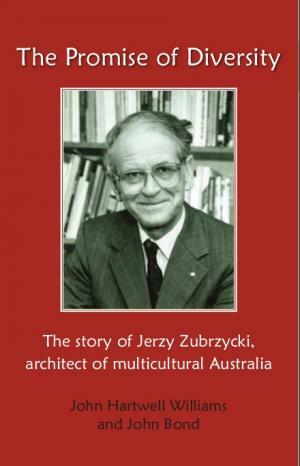 The book provides a wonderful account of how Zubrzycki’s early life experience of being rescued by a Jewish family shaped his belief in the value of diversity and turned him into a champion of multiculturalism. If Zubrzycki’s approach to multiculturalism were more widely understood, many of the troubles with migration and asylum seekers could be avoided. But given the unfortunate turn that policies towards foreigners are taking around the world, now more then ever, the Zubrzycki story is worth spreading. This entry was posted in Book Review, Climate Change, Food security, Uncategorized and tagged Anti-semitism, cultural diversity, Donald Trump, Greek migrants, Jerzy Zubrzycki, John Bond, Kevin Rudd, Melbourne, Migrations, Montreal, poland, refugees, Sorry Day Apology, Vietnam, Winston Churchill, World War II, YMCA by adamkoniuszewski. Bookmark the permalink. Wonderful, inspiring life to celebrate and to learn lessons from today. Thank you for sharing this! It is truly heartwarming to see how in the times when there is so much negative emotion surrounding situation of refugees around the globe, you decided to take an approach which celebrates contributions of refugees and reminds us how much value they can bring to their new countries. Immigration is never easy, regardless of whether one moves across the sea because of his/her own choice or because the situation forced one to move. As the article above confirms, no matter how difficult it is though, if we appreciate what life brings us and face it instead of complaining about it, then with hard work and perseverance we can achieve big things. Dear Magda, many thanks for your wonderful comment. I look forward to hearing about your new life in Canada. Sorry, I do not agree with the above comments; with around 30% unemployment, France cannot afford to provide free lodging, free health care, free education, etc. for the world’s poor, except,of course,for those seeking legitimate asylum, which should be on a temporary basis. I am resident in France but without French nationality so I do not qualify for free health care or any other freebies but I am a taxpayer without the right to vote except for local elections!!! Dorothy – Your figure of 30% unemployment in France is somewhat exaggerated. According to CountryEconomy.com the unemployment rate in France in September this year was approximately a third of that, i.e. 10.7%, just under the Eurozone average of 10.8%. Despite its sluggish economy, France is not a poor country. In terms of Net National Wealth, it is rated fifth in the world – after the United States, China, Japan and the United Kingdom. Hello Carl and Dorothy, one aspect of the story has to do with our ability to welcome migrants. My family had to leave Poland during the cold war and when we arrived to Canada we received $20 and a “Welcome to Canada”. We never received any free housing or other support. Surely, investing in the welcome of migrants and our ability to provide decent employment opportunities can go a long way in avoiding negative consequences from miss-managed migration flows on this scale. But this will not solve the root cause of the problem and the expansion of the terror state in Irak, Syria and elsewhere. 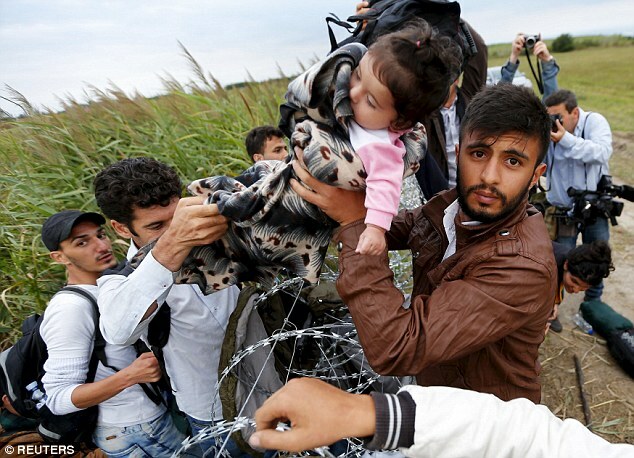 When entire populations are chased away from their homes there must be a place for them to go. Addressing these problems goes well beyond welcoming migrants and will require concerted action on many fronts.